North Dakota’s basketball community is coming together for one of its own. 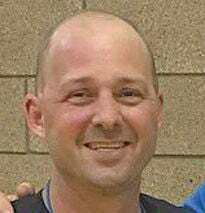 Tonight at Legacy High School's Haussler Gymnasium, some of the top high school players in the state will participate in the Basketball Charity Benefit For Brent DeKok with proceeds going to DeKok and his family. The St. Mary’s High School boys basketball coach is battling cancer for the second time in less than three years. DeKok, a 1996 Century High graduate, has endured countless doctor trips and chemotherapy sessions to Mayo Clinic in Rochester, Minn. Despite it all he continued to coach the Saints throughout last season. “The guy is an incredible fighter and it’s rooted in his faith,” said Horner, who attended Century High with the DeKok brothers. “When it (cancer) came back during the basketball season, after the West Region coaches meeting we met as a group because we knew we needed to do something. The event will feature a 3-point contest, dunk contest, skills competition and a short exhibition game. During the event, which starts at 5 p.m., people can bid on a diverse array of memorabilia, experiences, tickets and other items. Among the many things up for bid include an autographed Carson Wentz football, a guided fishing tour by Mike Peluso Outdoors, a set of tires from Tires Plus, NDSU Bison football tickets, Medora Musical tickets, golf passes, hotel stays, photography sessions and more. Bidding on the items will take place during the basketball activities. The winning bids will be determined before the night ends, which also includes a meal on the grill. The basketball portion of the event features Class A and Class B players from across the state.